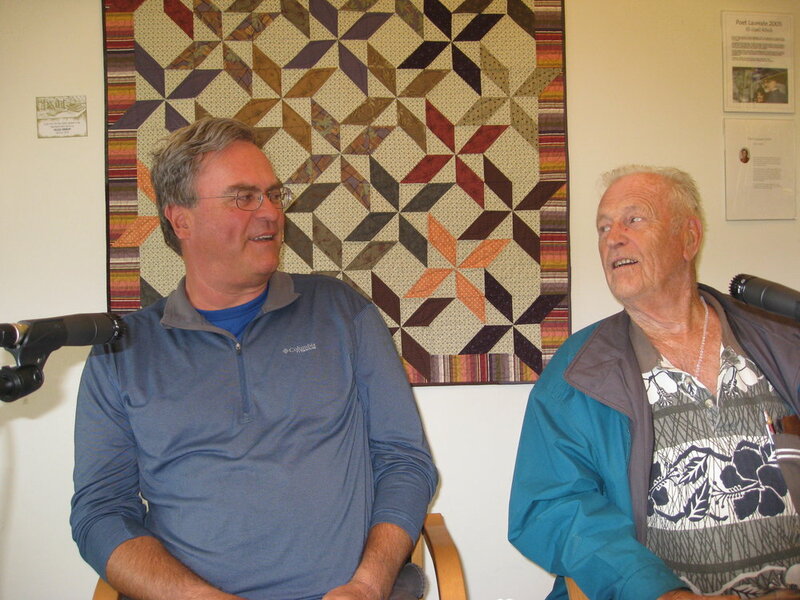 Louis Severson reminisced about his youth with his son Greg, telling about a time in Petersburg when Norwegian was commonly spoken in town. He tells of how his father used to row a skiff to Warren Island out on the coast to fish for King salmon. Louis was a hard worker and entrepreneur himself, starting work early with a paper route, and asa recycler of bottles, and at Les Elkins Drugstore at the soda Fountain. The day Louis graduated from High School in 1943, he received his induction papers. He became a paratrooper, and says that if not for a month long furlough a year later, he would have been parachuting into the beaches of Normandy during the D-Day invasion. He credits the furlough with saving his life. Getting back to Petersburg after the war, he was digging ditches when an old Norwegian asked him if he wanted to go fishing, and that started his career on the water. Louis fished on many boats, including the Pamela Rae, the Munroe, the Symphony and others. Then he was able to build a house for he and his bride, Ida Hofstad. Louis brought sand and gravel over from Point Agassiz to mix in with concrete to pour his foundation, and helped many friends with their houses too. He says he still has his old wheelbarrow. His construction career continued with the Forest Service, and he built many of the recreational cabins in the Tongass. One of Louis’ stories tells about how the skiff he was in flipped in the Narrows when approached by a helicopter that was supposed to hoist it. Louis clambered up on the pontoons, and the pilot flew him up to his house a few blocks away, with Louis hanging on outside. So his midair adventures did not end with WWII.